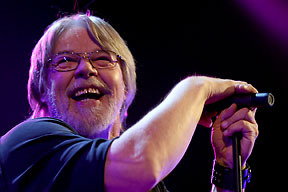 Some 40 years into the making of another rock legend from Detroit, Bob Seger and the Silver Bullet Band put on an energetic performance for an age-diverse audience at the Bradley Center and, along with some noteworthy new material, gave the crowd hit after hit after hit-- of song that is. 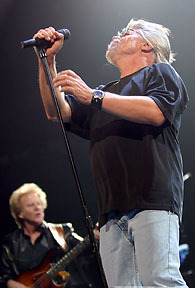 Modestly dressed in his trademark fashion of a black tee and blue jeans, Seger warmed things up a bit with tunes like "Old Time Rock & Roll" before donning his black headband and working up a sweat with the driving, new tunes "Face the Promise" and "No Matter Who You Are." 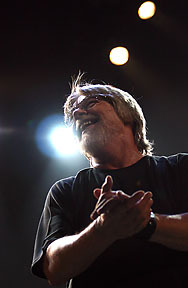 Lively and animated throughout the night, Seger only took a brief break by way of an intermission and seemed to give it all he had, while his vocal, guitar and piano abilities showed no age-- though after one song Seger was noticeably out of breath, exclaiming, "61 years old. Yeah!" and then laughing. Part of the show's charm was that Seger seemed genuinely appreciative of being able to be up on the stage in his 60's, and his from the heartland style of rock was infectious. Just a few of the classics played included a raucous "Ramblin' Gamblin' Man," a set-ending "Katmandu" braced by the power of the four-horn strong Motor City Horns, and a thunderous "Hollywood Nights" featuring the power and precision of the backup singers, Shaun Murphy (frontwoman for Little Feat), Barbara Payton and Laura Creamer, carrying the power to the end of the tune. 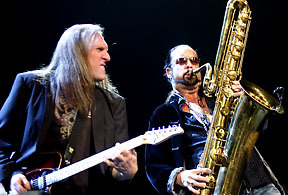 Original Silver Bullet Members Alto Reed and Chris Campbell, on saxes and bass respectively, made their presence known, especially in "Turn the Page," which Seger noted he wrote while at a hotel in Eau Claire, Wis., in 1972. 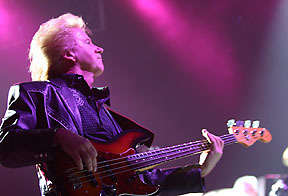 And, guitarist Mark Chatfield was especially noticeable with his fiery guitar in the medley of "Travelin'" and "Beautiful Loser." 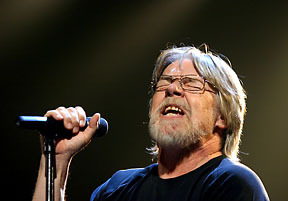 Paying homage to the old time Detroit rock sound that shaped him, Seger's own "Betty Lou's Getting Out Tonight" primed the palate while his take on Chuck Berry's "You Never Can Tell" truly delivered and culled much approval from the audience. Those hoping to hear some rock ballads weren't let down by Seger either and, more importantly, nor were they put to sleep by "Night Moves" and "Against the Wind." 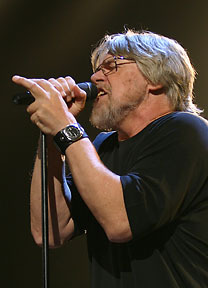 With teens all the way up to sixty-somethings singing along through the show, Seger is a musician for all ages, for the ages, and has proven to be equally indelible as both a performer and a singer/songwriter.